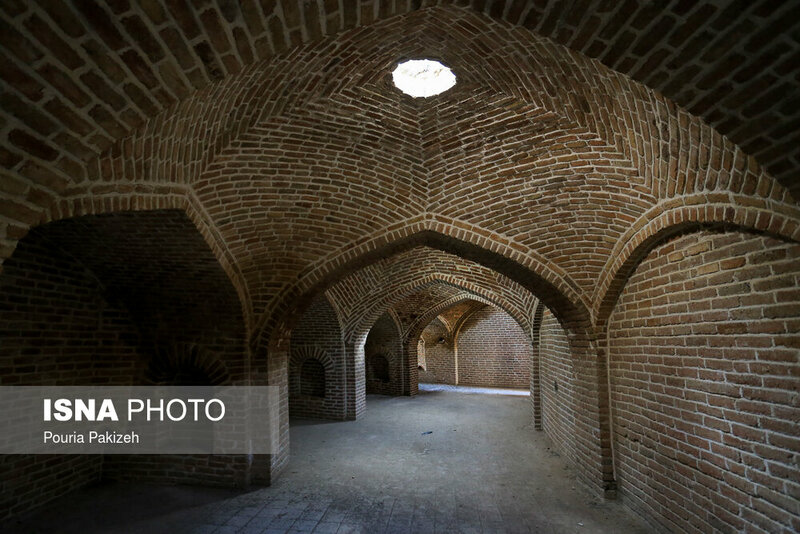 Tajabad Caravanserai, one of the rarest circular caravanserais of Iran, is located in the village of Tajabad in western Hamadan province. 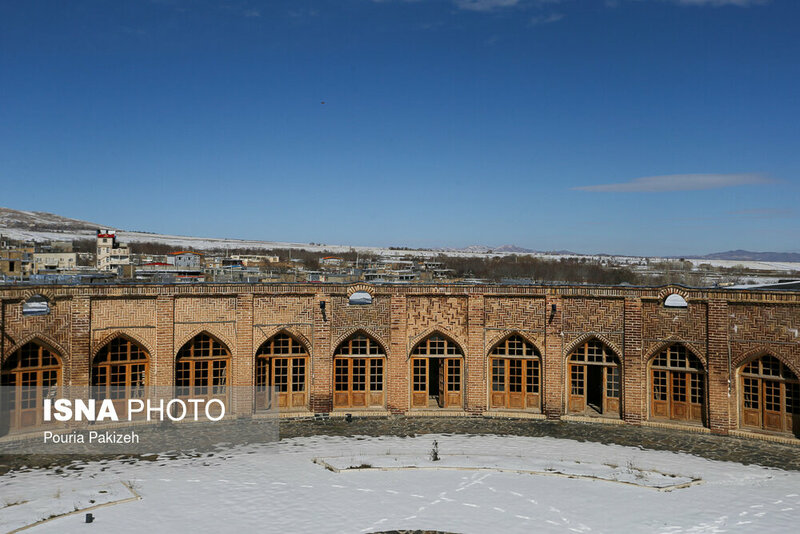 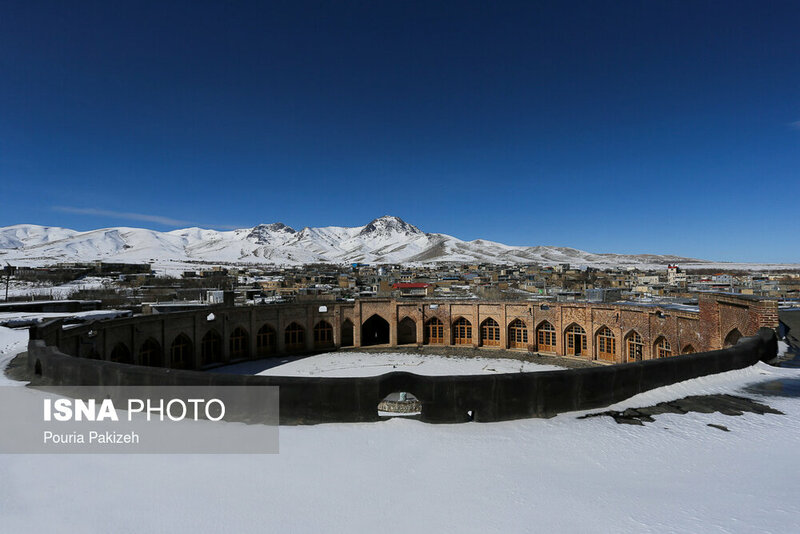 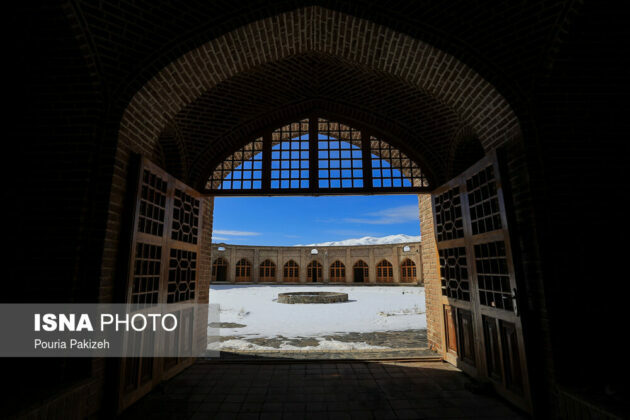 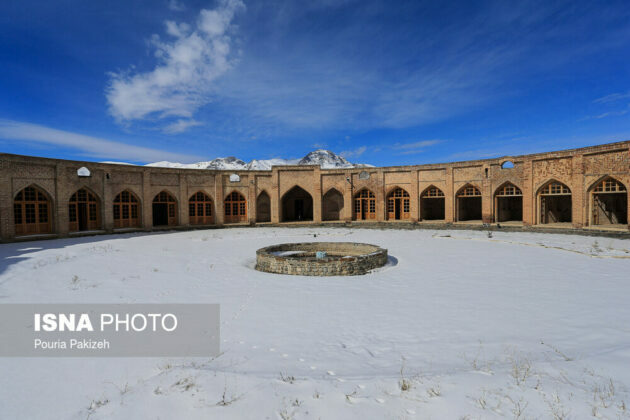 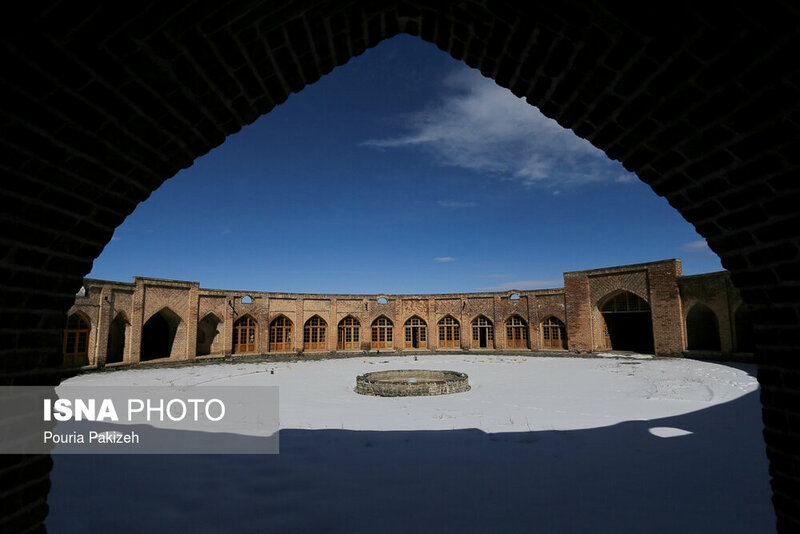 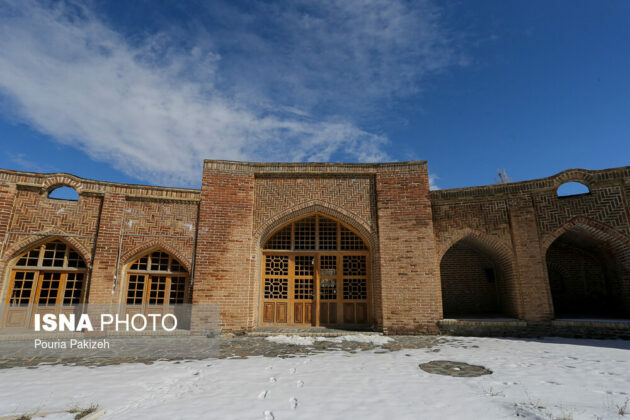 The caravanserai was registered in 1997 in the list of Iran’s national heritage. 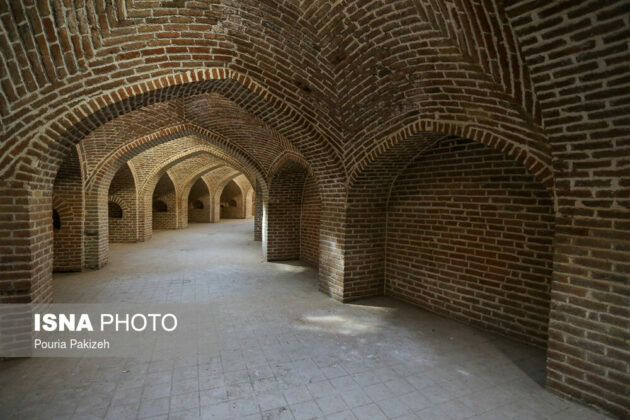 Caravanserais have played a significant role throughout the history of Iran. 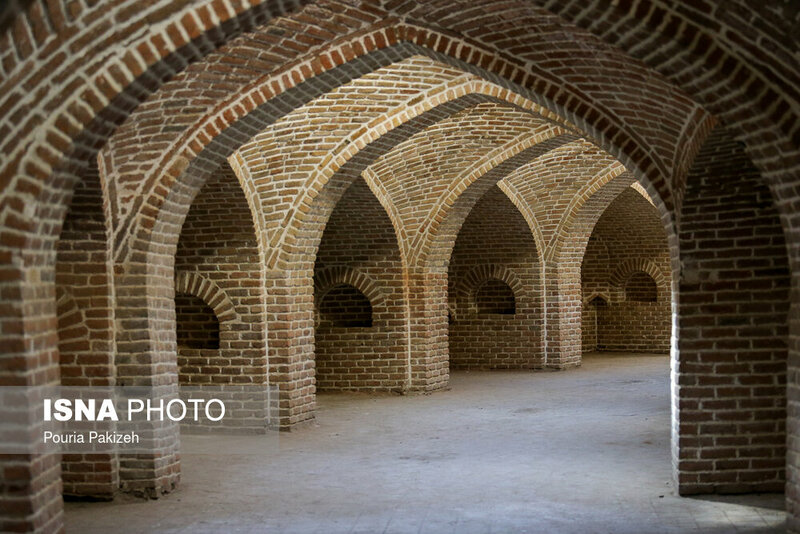 The tradition of building caravanserais was customary in Iran before and after Islam. Many beautiful caravanserais have been made in Iran, especially after the advent of Islam. Tajabad Caravanserai is one of the most beautiful ones built after Islam during the Safavid era. 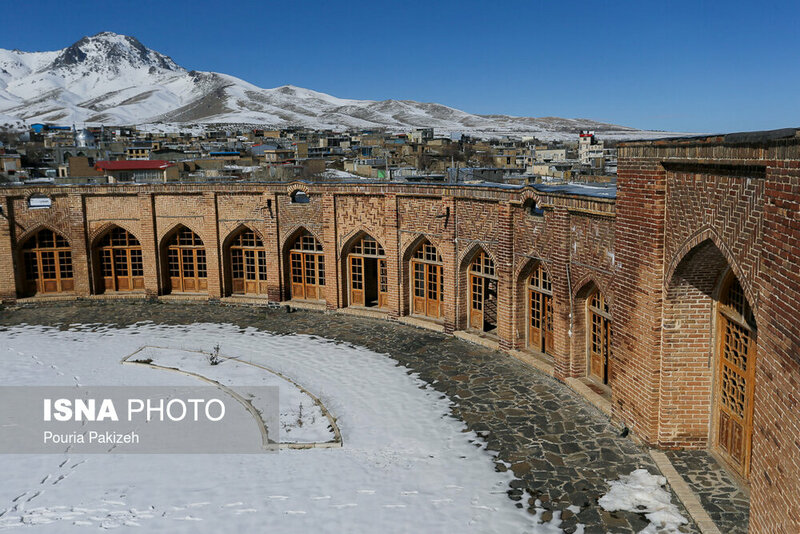 The people in this village speak Kurdish. 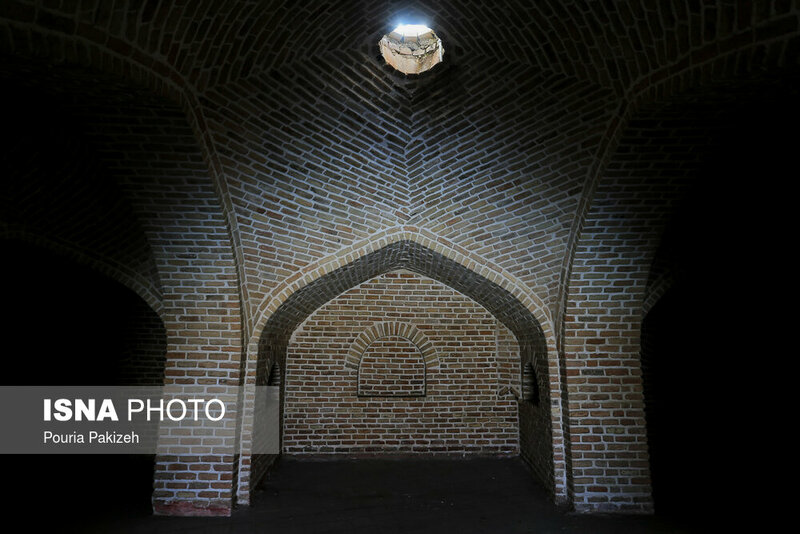 This structure is located in the central part of the village, near Hamadan-Kermanshah road and on the way of pilgrims to the Iraqi holy city of Karbala. This caravanserai is actually a circular Rabat – a type of caravanserai used by people to house their livestock – unlike most of the Iranian caravanserais that have a rectangular plan. The eastern entrance has two decorative and modern facades, with two wooden doors. This is the entrance to the stables and lower chambers. 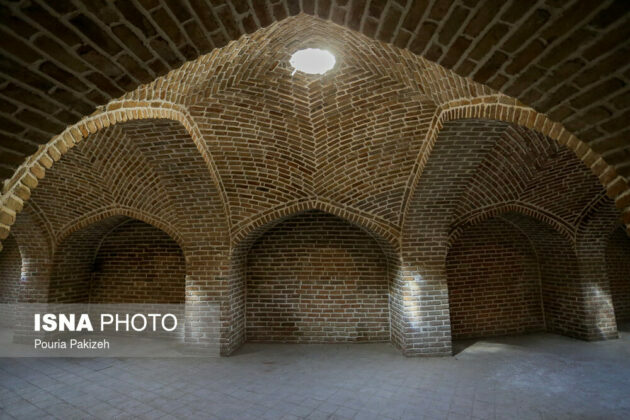 There are 26 chambers in front of it. 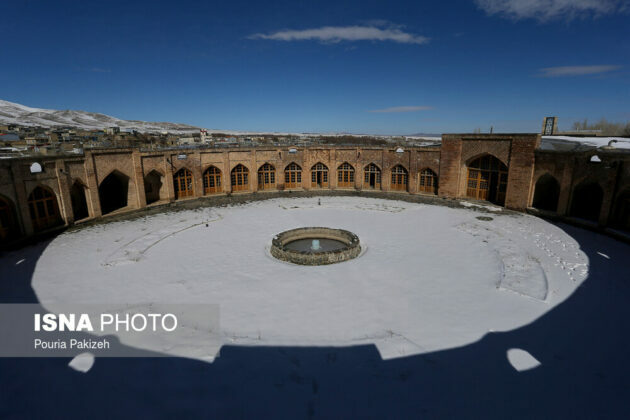 The courtyard is covered with stones and two wells are seen inside the building.